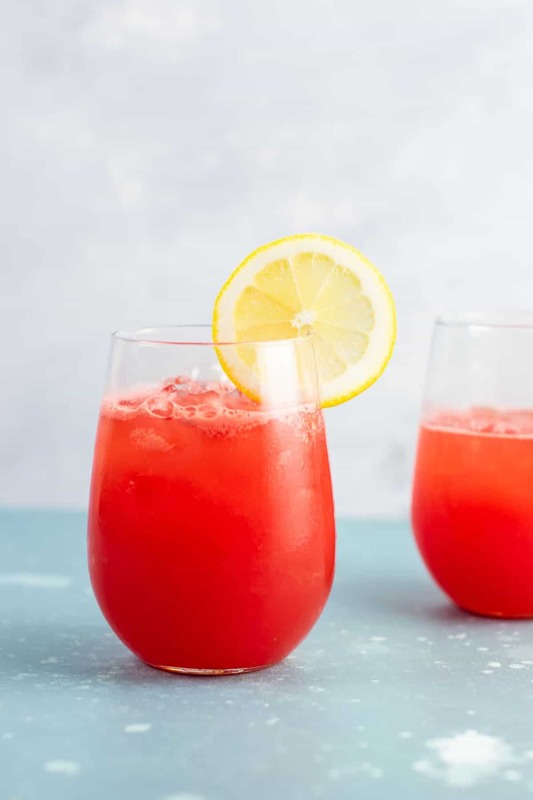 Sparkling watermelon lemonade – a healthy summer drink that tastes like a treat! That’s it! Simple and flavorful. I love how refreshing and hydrating watermelon is. It’s sweet and crisp and one of those foods that I could eat forever. I love how healthy it is and that it barely has any calories in it. It’s pretty much my favorite part of summer! 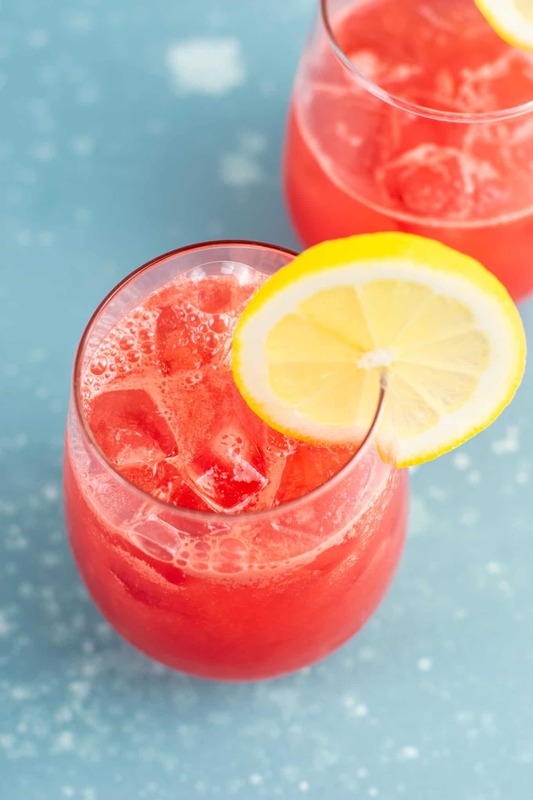 This watermelon lemonade is another way to use up watermelon that is less than great. If you’ve ever bought a watermelon at the store that didn’t taste sweet enough, don’t throw it out! 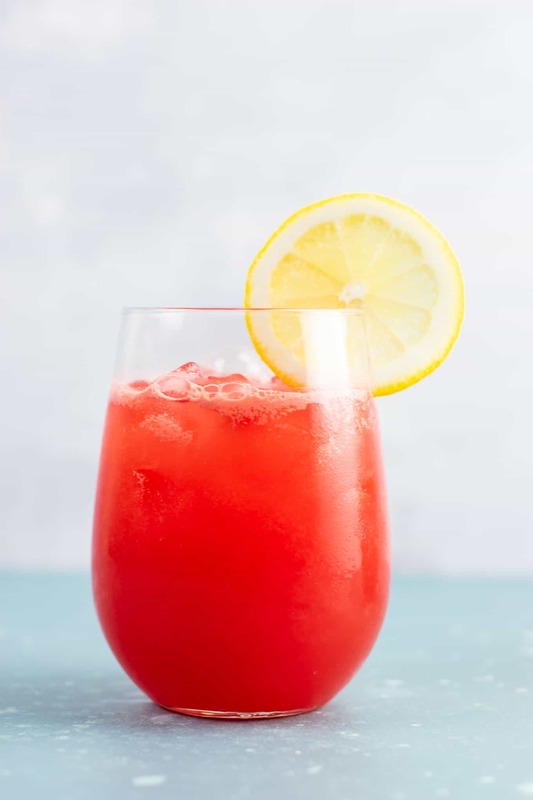 Blend it up into this lemonade, or freeze it and make a watermelon lime cooler or watermelon gin slushies. This drink was so refreshing! 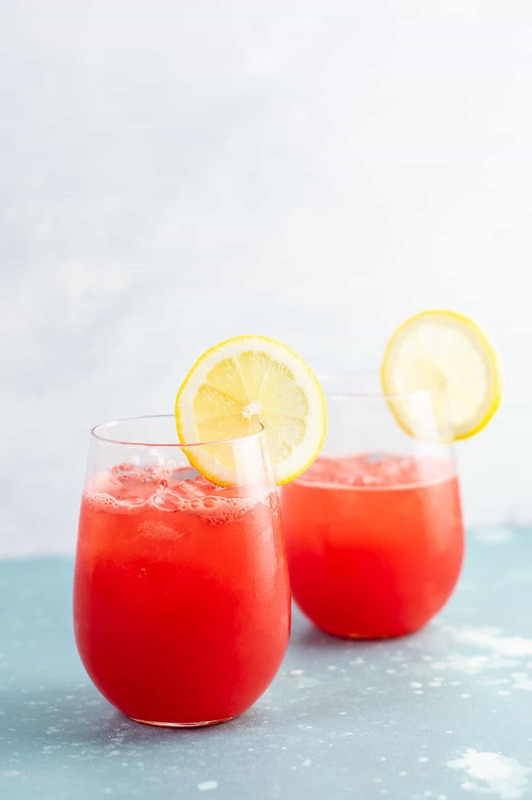 This is now my go to recipe for any watermelon leftovers! 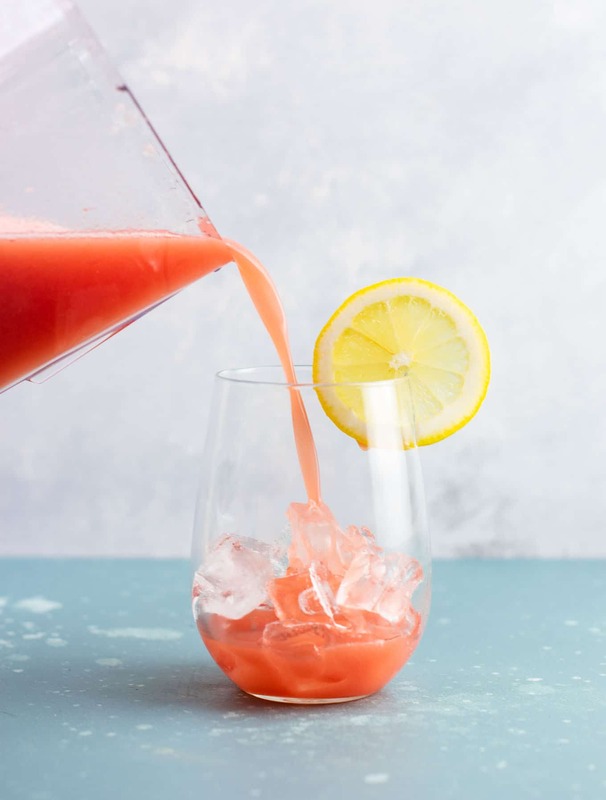 Don’t waste that watermelon that wasn’t as good as you expected, try this instead! 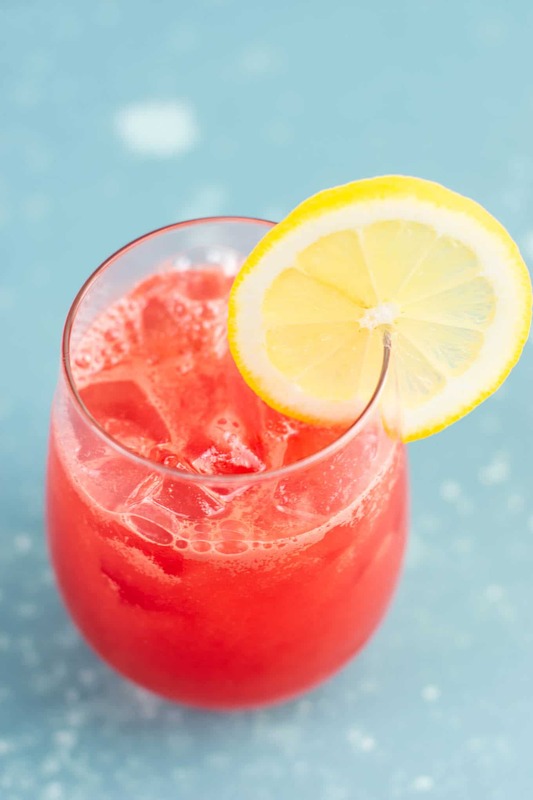 This recipe is perfect when you want a sweet summer drink and is way healthier than soda! The fizz from the sparkling water makes it really feel like you are drinking a special treat. 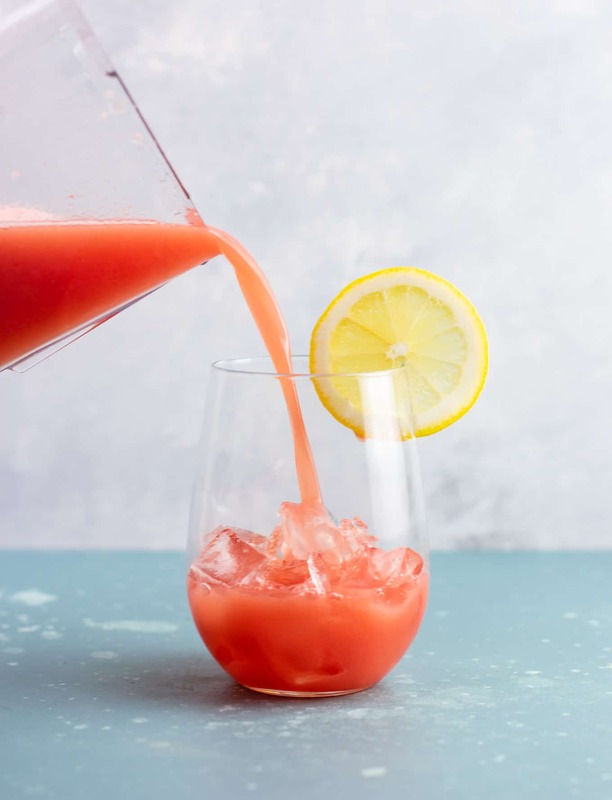 Looking for more watermelon drink recipes? Love watermelon like me? 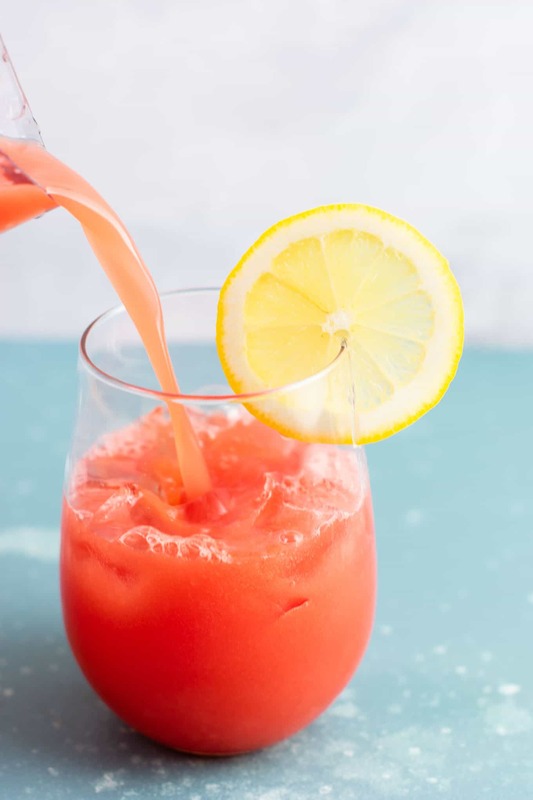 Here are some more delicious ways to drink watermelon! 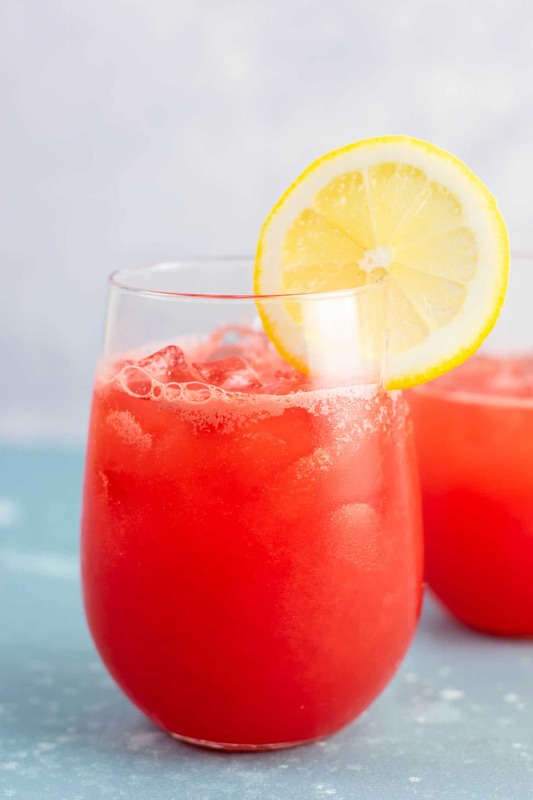 This watermelon lemonade is a great healthy treat to enjoy this summer! If you like a stronger lemon flavor, use 1 whole lemon. For just a hint of lemon, use 1/2 of a lemon. This is one of my favorite recipes of yours! So refreshing and delicious!!! Thanks Susan! This will serve two!